Released world wide on Monday 29th April 2013. 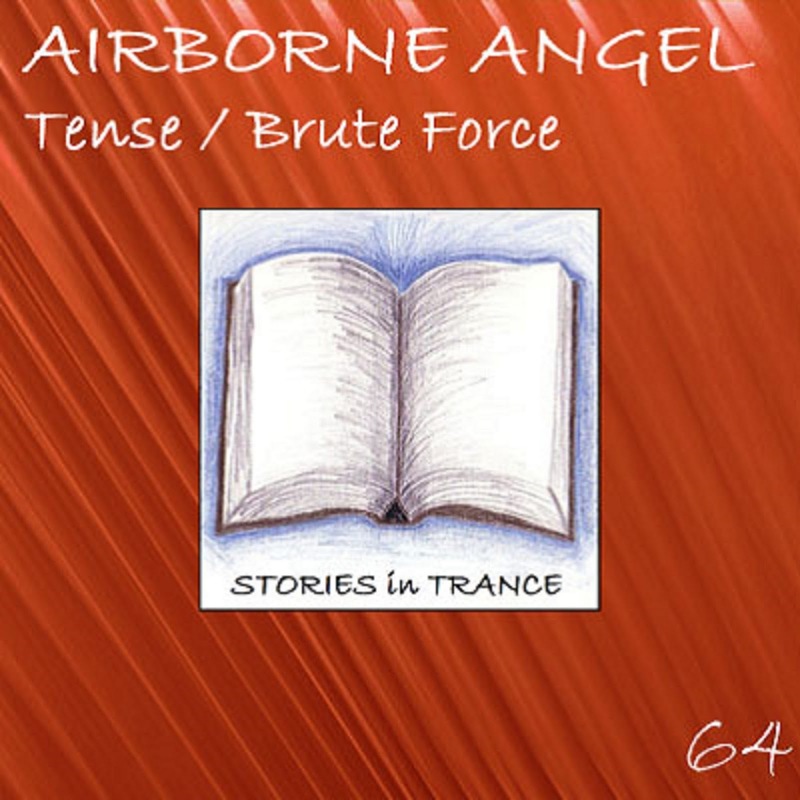 Stories In Trance present our 64th release and the eighth original by Airborne Angel with the double a-sided single Tense / Brute Force. Airborne Angel (Sweden's finest , Gustaf Westin) has played a huge part in the development of Stories In Trance including a selection of massive originals and remixes, most recently with our landmark 50th release Apollo (Relaunched) and he is back on his customary top form with these two tracks. Up first we have Tense, with his customary production techniques which are second to none this is a truly unique, engaging and brilliant track. A flowing bass line and superbly well crafted Mids, added to an epic break and brilliant lead this is yet another production from Airborne Angel to stand up there with the very best, a must in any set or mix. Secondly we have the bite size Brute Force, a slight departure from his usual style and initially made as an experiment this is once again a perfect illustration of his immense talents. At only 3 minutes 23 seconds the original radio mix is a straight to the point big room trancer with a fantastic lead, stunning mids, this is a track to savour and maybe an extended version to follow in the future. Watch this space. Released on Monday 22nd April 2013. 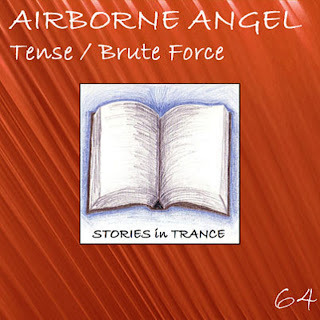 Stories In Trance offer our 63rd release and it's a stormer. 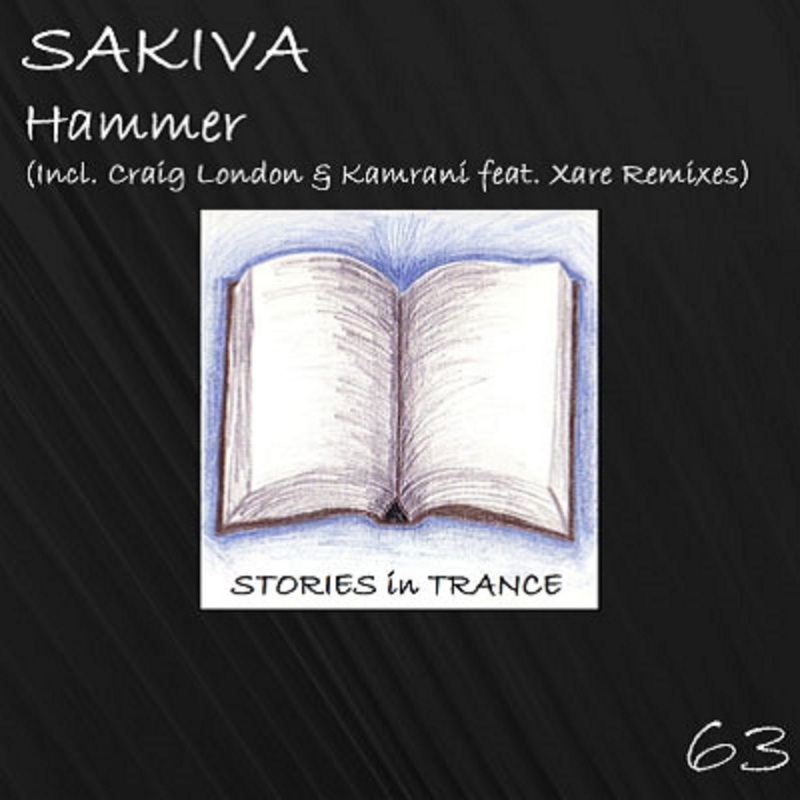 We give you Sakiva with this three track single Hammer. 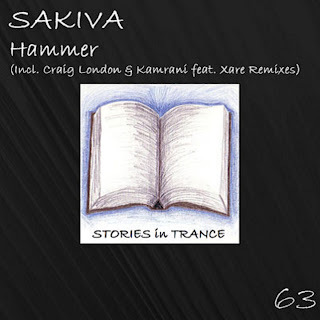 Sakiva (Kirill Saltymakov) hails from Russia and his production career to date has seen him have previous outings on Andromeda Recordings but with Hammer he makes a stunning debut on Stories In Trance. This track has a great techy feel with a truly memorable lead melody and some excellent production touches making this a track that really stands out. This is one to really take note of, a sure-fire highlight wherever it's played. The first remix comes from Englishman Craig London. Craig's career to date has seen him make an immense arrival on the scene in the shape of his original The Traveler on Where Music Lives Digital which brought him to our attention so we were delighted when got him on board with us on this remix. Expertly fusing the lead into an uplifting and energetic version of the original, this has all the qualities to be a major success. Fantastic production and a layout that is always engaging make this sure to be one of the most exciting remixes of the year. Craig perfectly shows his undoubted talents with this remix and why we should all keep an eye on this very promising producer in the future. The second remix comes from Kamrani Featuring Xare. You may know Ebrahim Kamrani better as Mebramins who has had tracks on labels such as Echelon and Digital Quest. This is his first production under this alias and he offers up a shorter interpretation, using the main elements of the original with strong bass and mids. This is a fine piece of work that is superbly well produced. Be sure to look out for more from this very promising young producer. Stories In Trance presents our second chart for April 2013. Featuring tracks and remixes from Ico, Daniel Kandi, Overseas, Falcon, Sunset, Corderoy and recent tracks on SIT from Matt Mancid, Cosmic Doors, Locus and Bismark. A fine selection of some of our favourite tunes at the moment and we are sure you will enjoy it, check it out. Released world wide on Monday 15th April 2013. Stories In Trance present our 62nd release, this time by Hungarian David Surok with the superb four track single Avalon. Newcomer David Surok made an immediate impression with his first ever release Sunset / Sunrise (SIT #47) in November 2012. This was followed by his excellent remix of Alex Blest & Stonewave's Ethereal (SIT #49), his next original Never Let Me Go as featured on the Endeavour EP (SIT #51) and most recently his remix of French Skies The Wings Of A Dream (SIT #58). David is back with his fourth original Avalon and it's more of the quality we have now come to expect from him; an energetic and uplifting trancer with a great lead and excellent percussion and structure. This is another fantastic track from a very exciting new producer. The first and second remixes come from Frenchman Jonathan Araldi under his French Skies alias with his intro mix and remix. Jonathan has been honing his production and remixing skills on labels such as Crystal Source, TFB, Club Nation, Pulsar, Tellurium, Mycore, Linger, Amplified Digital, Restate and 1103 Music and is fast becoming one of trance's most promising producers. After his debut on Stories In Trance in the shape of The Wings Of A Dream (SIT #58) he then followed this with his first remix for us, delivering a fantastic reinterpretation of Triumvirate's epic The Persistence Of Memory (SIT#60). The Intro Mix has a beautiful beginning that leads into this powerful track, whilst the remix cuts straight to the chase. Comprising of a great lead melody whilst subtly and expertly weaving aspects from the original into the mix, backed with stunning atmospheric touches, this is a perfect illustration of what to expect from French Skies and why we are delighted to continue showcasing him on Stories In Trance. The fourth version comes from Matt Mancid. Hailing from Germany Matt Mancid's (Mathias Hauptvogel) production career to date has seen him make appearances on labels such as Technotrance-essentials.com, German Engineering, Euro-Dancer.com, Niiemo and Trance Allstars. This remix is a perfect representation of his talents, with captivating piano keys in the break, this is a beautiful, warm and fantastically well produced re-think of the original and certainly a track to savour. Look out for plenty more great tracks and remixes from Matt in the coming months. 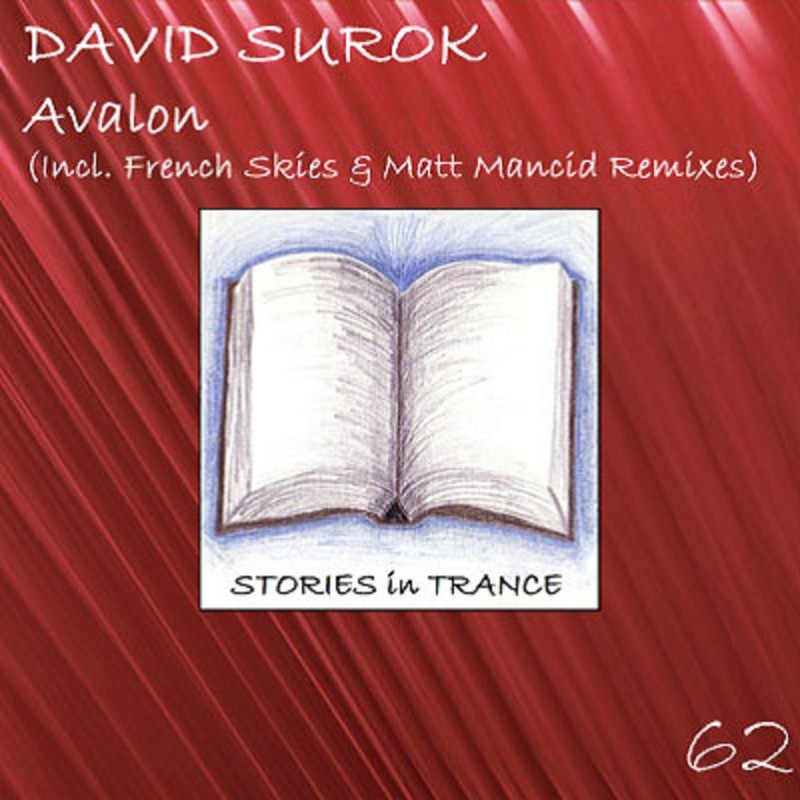 Stories In Trance presents our chart for April 2013. A selection of our favourite tracks and remixes from the likes of Para X, Daniel Kandi, Orbion, Darren Porter, Nick The Kid, Mac & Monday as well as the most recent releases on SIT from Garton & Carter Present Triumvirate, Lev Rubel & spArk. A seminal collection for you to immerse yourself in and embrace. Enjoy! Released on Monday 8th April 2013. Stories In Trance is happy to give you our 61st release, this time by Lev Rubel with Share Your Moment. The three track single includes the original, Cosmic Doors and Konstantin Svilev remixes. Up first we have the original. Lev made his production debut for Stories In Trance with Insomnia as featured on the Tibbs EP (SIT #44) in October 2012 then backed that up with Fairyland (SIT #53) and fantastic remixes of Ethereal (SIT #49), Bridgestone (SIT #52) and Exit (SIT #56). He once more proves his undoubted talent with warm and delicate backing to the emphatic lead, a delightful flow and feel added to the excellent production technique making this a track to savour. 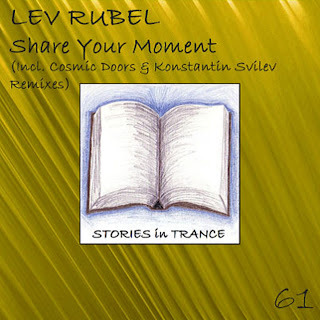 Lev is a producer who continues to be widely influential on Stories In Trance. The first remix comes from a duo who are no strangers to Stories In Trance, but under a new alias - Cosmic Doors - who you might know better as BB Sound/Alexander One & Davide Battista. Italians Alexander One (Petrone Carmelo) and Davide Battista (Gabriele Stefanini) have made several outstanding appearances for Stories In Trance, including brilliant reinterpretations of Max Stealthy's Arrinera (SIT #25), White Motion's Solis (SIT #28), Yaven's Zeal (SIT #38) and most recently French Skies' The Wings Of A Dream (SIT #58) as well as their first original for us under their BB Sound alias with the seminal Oblique (SIT #33). Once again they are on top form adding their own flavour to the original and taking it down a more uplifting route. Power, pace and energy are in abundance, a remix of the highest quality. The third remix comes from Konstantin Svilev. Konstantin made his debut for Stories In Trance on our Endeavour EP (SIT #51) with City and backed that up with his remix of Four Points' Bridgestone (SIT #52), then his first solo release with Exit (SIT #56). He is at his best again with this energetic and ever progressing rework of the original. Undoubtedly inspired by the Belgian trance sound of the late 90's and early 2000's, be sure to check out more of Konstantin's work with us in 2013. Another one of our discoveries we are happy to showcase on Stories In Trance.